usage of a controversial private hanger located at the Cheddi Jagan International Airport Corporation (CJIAC). The said hanger had been utilized by Exec Jet Club (Exec Jet), an aircraft jet-charter business owned Guyana-born pilot Khamraj Lall. Lall pleaded guilty to money-laundering before the authorities in the United States after he was caught by Puerto Rican authorities with US$600,000 in cash stashed in his plane in November, 2014. The embattled cash jet pilot, who is also proprietor of Kaylees Gas Station in Coverden, East Bank Demerara, is currently facing the Courts in the US on a number of other allegations including tax evasion, money laundering and trafficking in narcotics. According to information disseminated to the press, Gangadin had applied to the Court for continued usage of the hanger claiming ownership of Exec Jet Club. The CJIAC was represented by Mr. Andrew M.F. Pollard of Hughes, Fields & Stoby. Gangadin was represented by Mr. Rexford Jackson of Hanoman & Associates. His application was dismissed last week after Justice Diana Insanally in (the Commercial Court of the Georgetown Supreme Court) ruled in favour of the CJIAC. According to Court documents, in 2015 Gangadin filed a Court action against the CJIAC seeking inter alia, a declaration which will compel the association to allow him to continue the use of a hangar. 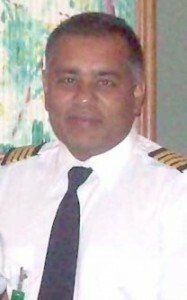 Gangadin had claimed to be the owner of Exec Jet, and claimed that the CJIAC had locked his business out of the hangar location, and had detained his assets inside. The businessman claimed too that he invested over $600M pursuant to an investment agreement with the Government of Guyana, which had agreed to him starting the jet-charter business. This expenditure, Gangadin said, created equity in him or what is known in law as ‘proprietary estoppel’; a legal claim which prevents the CJIAC from denying him the use of the hangar until he had recovered the sums expended. He was therefore claiming an injunction to compel the CJIAC to allow him to continue using the hangar for Exec Jet’s operations. Gangadin also sought in excess of $10 million worth of damages for Breach of Contract with the CJIAC. But in response, the Airport Association argued that contrary to the claims, Gangadin was not the true owner of Exec Jet. According to the information outlined in the affidavit filed by CJIAC in response to the court action, Lall was granted permission to construct a hangar for his aircraft sometime on January, 9 2013 — approximately two years after he applied for permission to build. The document stated that at the material time, Gangadin of Lot B Soesdyke East Bank Demerara (EBD) and Shivnarine Ramsarup of Lot 7 Madewini, East Bank Demerara were appointed with Powers of Attorney for Lall’s estate, inclusive of Kaylee’s Gas Station and Exec Jet Club. The document also outlined that Lall had given the CJIAC a Power of Attorney he had registered authorising Gangadin to act as his Manager at times when he was abroad flying. Additionally, the Airport Corporation said that the hangar had been utilized by Exec Jet under a Licence Agreement for three years. The CJIAC also claimed that it was a term of the original agreement that Lall/Exec Jet would obtain all licences and permits necessary to lawfully operate the hangar. 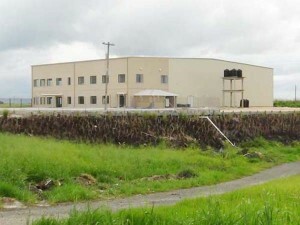 The CJIAC further contended that Gangadin’s action was misconceived as promissory estoppel was an equitable concept, and Guyana’s land law did not recognise equitable interests in land. The CJIAC cited a number of cases decided by the Guyana Courts and the Caribbean Court of Justice (CCJ) that emphasised that point. Additionally, the Judge in her ruling also pointed out that any sums invested were done at the behest of the Guyana Government — which was a completely separate legal entity from the CJIAC — and therefore, could create no equity against the CJIAC.